Figure 5. P. Regnard’s combination photometer and photometric recording device. 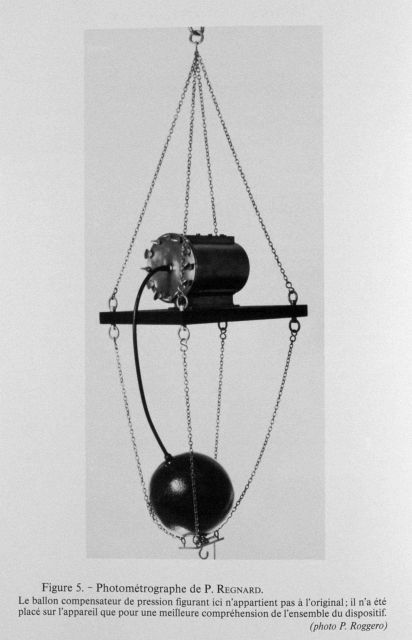 Invented by Paul Regnard in 1888 for measuring the intensity and duration of lig light with increasing depth. It was used by Prince Albert aboard a steam tug off Funchal at depths of 20, 30, and 40 meters. The balloon pressure device was not part of the original instrument but added afterwards.